Thankyou Caravans!! Terrific experience, services and best shopping is to be found at our favorite destination store, Distant Caravans at the Forks. Our family visited our favorite store today which is Distant Caravans and there was a new collection of Byzantine design jewelry just in, the selections on display are exquisite with the precious and semi-precious stone incorporations of unique cuts and designs. The ladies’ fashions and Saria material selections were stunning, colourful, the latest and superlative in quality, family members acquired several outfits. The Raqs Sharqi belly dance costumes - Turkish, Egyptian, tribal in styles are always a favorite for us, I picked up a few pieces there today, belly dance hip scarf and several Byzantine jewelry design pieces. The Afghani Kuchi tribal coin belts, the glitter henna and mehndi tattoo sets, the Afghani Kuchi tribal necklace lapis pendants (beautiful), the bracelets, the turquoise pendants with bells and shells, rare tribal earrings and headpieces, the beaded tassels and cotton tribal skirts were, well simply exquisite, looked at these selections closely as well, perfect. Our family had a wonderful experience at Caravans, services was sterling as always, very knowledgeable and the artifacts, artworks and selections were amazing as per usual (always something different and very unique at Caravans, tasteful and selective). 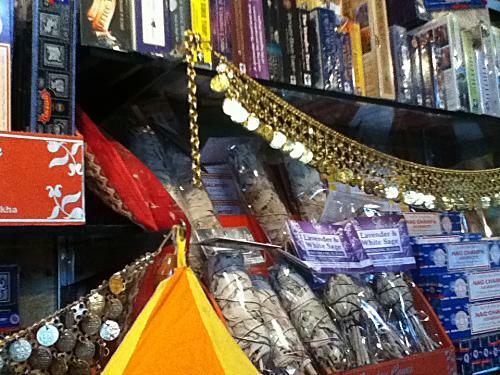 This shop is our favorite for Tarot and Palm reading service as well, superlative telling’s, fun, accurate and with eastern magical influences, reminds me of the open markets in Morocco. Our family makes it a point when at the Forks and in Winnipeg to visit with Distant Caravans, our Oasis and destination store of fun, gifts and family adventure. See you all again soon and for our Christmas shopping, will bring our relatives too, a few relic hunters, the seasons visitors, Thankyou Caravans! !